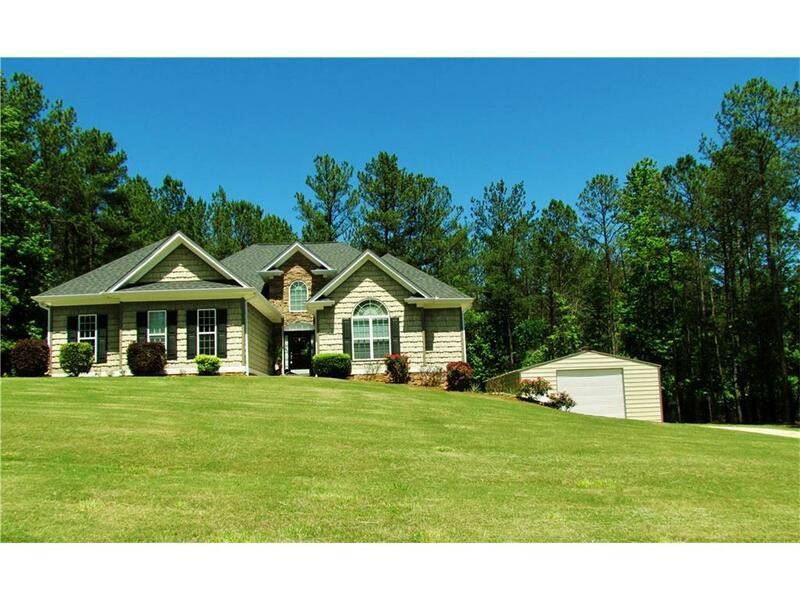 Need a private setting, close to I-20, with easy access to Carrollton or Bremen? Ranch Style home, full unfinished bsmt, nestled in one of the most desirable areas of Carroll County, Buck Creek Manor. Underground utilities, Large Estate Lots, minimum 4 Acre Sites. Beautiful foyer entry & Separate DR w/ Hardwood Flooring, Ceramic Tile, New Carpet, Paint, & Granite Counter-tops, Custom Trim, Gas Logs in Vaulted LR, and huge kitchen area w/ breakfast area for entertaining. Full Basement offers plenty of storage w/ separate automatic garage door & an Outdoor Workshop.